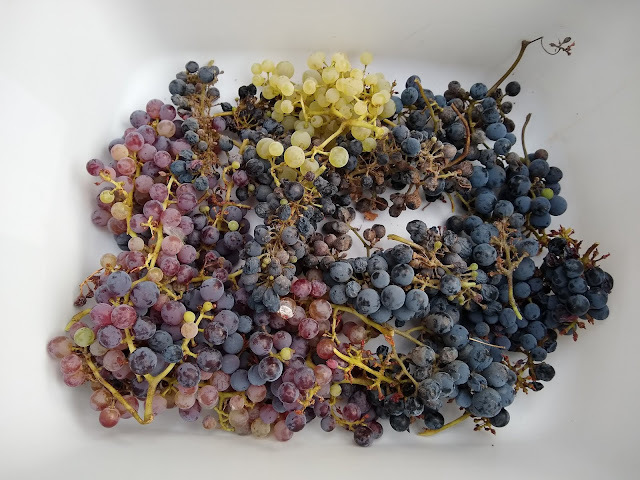 In terms of harvest size and quantity, the varieties of grape harvested for this year's Estate blend include Zinfandel, Agilianico, Syrah, Grenache Noir, and Palamino. 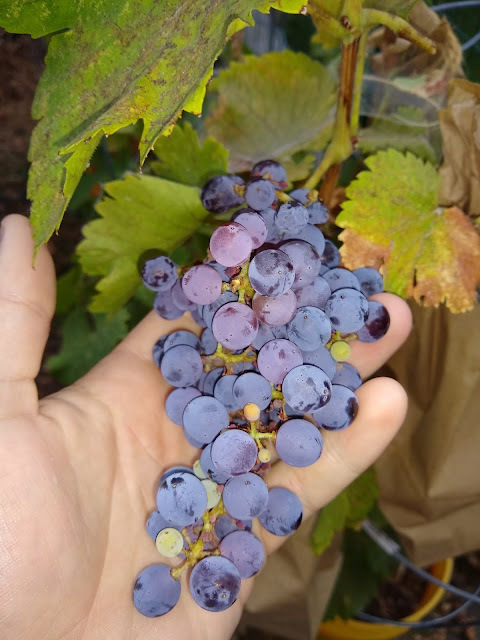 The size of the harvest was about the same size as last year, but that can be attributed to the birds eating all the Cabernet Sauv and Pinot Noir. Destemming and crushing was easy. 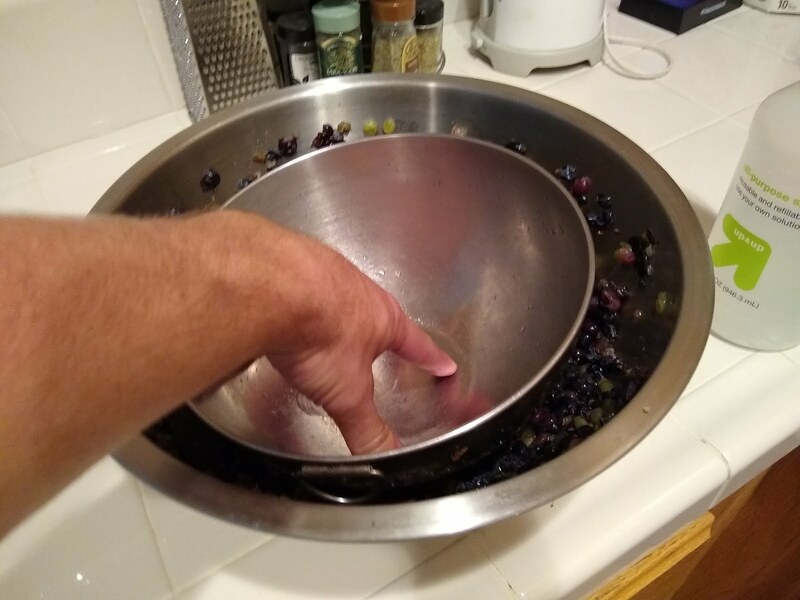 Using the backside of a smaller bowl made pressing the grapes super easy. 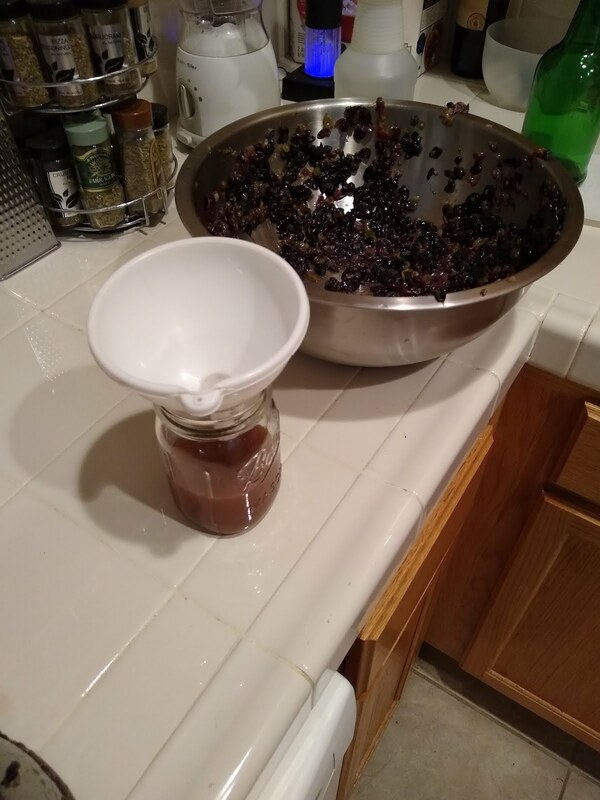 Eventually stuffed all the juice and skins into a 32oz mason jar. 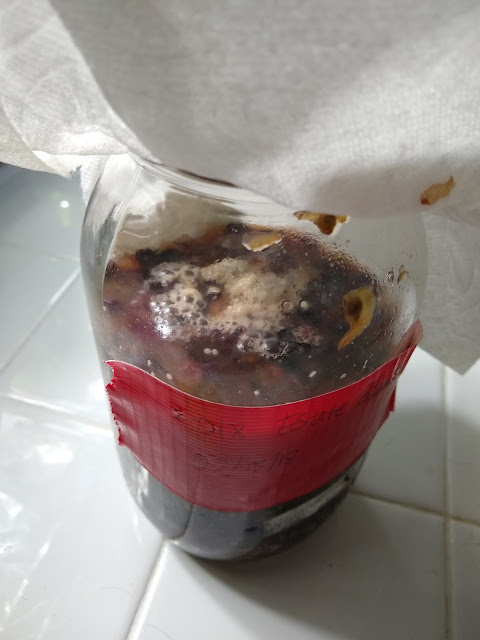 Used some red star yeast and this wine is now fermenting. 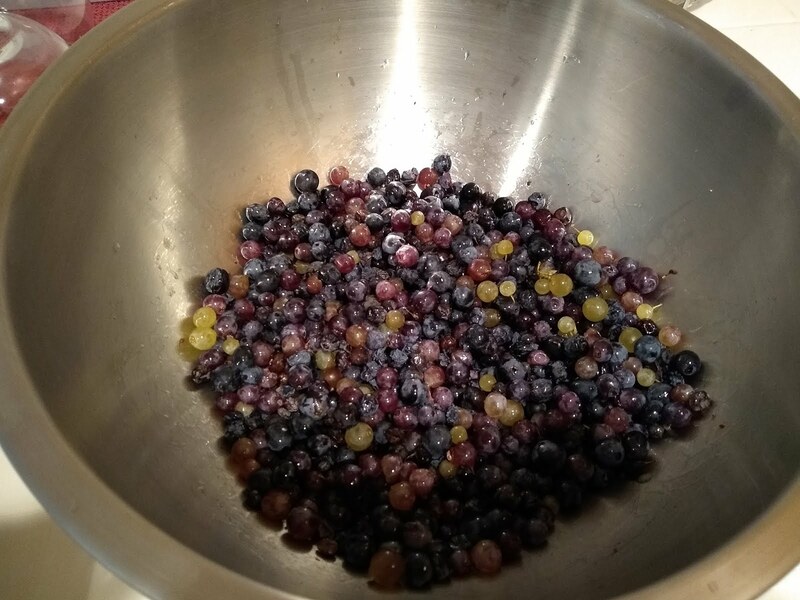 Soon the juice will be removed from the skins. Then I'll get some malolactic bacteria to reduce the acidity of the wine so it will be more drinkable. Separating some juice to get some better crushing. Very sweet!